Home » News » September 5 is Newbie Night! September 5 is Newbie Night! 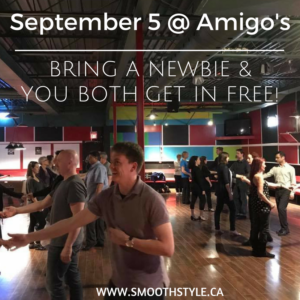 In September, we start an all-new Beginner Track at Amigo’s on Tuesday nights. September 5 is Newbie Night: bring a newcomer to the 7:45 pm lesson and you’ll both get in free for the evening!